Today marks 125 years of an Unjust War waged against the Hawaiian Kingdom by the United States of America. This profound and fundamental fact has been obscured through a deliberate and relentless barrage of denationalization by the United States. This process, which is known as Americanization and which is a war crime, has nearly obliterated the national consciousness of the Hawaiian Kingdom in the minds of Hawai‘i’s people, and by extension, the international community. Samuel Damon, an insurrectionist and traitor to Hawai‘i, stated in 1895, “If we are ever to have peace and annexation the first thing to do is to obliterate the past.” Damon also served as Trustee for the Kamehameha Schools from 1884-1909. The key to understanding the prolonged and unjust war between the Hawaiian Kingdom and the United States is to begin with the legal status of the Hawaiian Kingdom under international law. Since war, whether just or unjust, is regulated by international law, the Hawaiian Kingdom would need to have been an independent State prior to the American invasion on January 16, 1893. As an independent State it would have been a subject of international law, and, therefore, international law would be the lens through which to interpret the invasion as well as determining whether or not an unjust war was triggered. In 2001, the Permanent Court of Arbitration’s arbitral tribunal, in Larsen v. Hawaiian Kingdom, declared “in the nineteenth century the Hawaiian Kingdom existed as an independent State recognized as such by the United States of America, the United Kingdom and various other States, including by exchanges of diplomatic or consular representatives and the conclusion of treaties.” The terms State and Country are synonymous. As an independent State, the Hawaiian Kingdom entered into extensive treaty relations with a variety of States establishing diplomatic relations and trade agreements. The Hawaiian Kingdom entered into three treaties with the United States: 1849 Treaty of Friendship, Commerce and Navigation; 1875 Commercial Treaty of Reciprocity; and 1883 Convention Concerning the Exchange of Money Orders. In 1893 there were only 44 independent and sovereign States, which included the Hawaiian Kingdom, as compared to 197 today. On January 1, 1882, it joined the Universal Postal Union. Founded in 1874, the UPU was a forerunner of the United Nations as an organization of member States. Today the UPU is presently a specialized agency of the United Nations. By 1893, the Hawaiian Kingdom maintained over ninety Legations and Consulates throughout the world. In the United States of America, the Hawaiian Kingdom manned a diplomatic post called a legation in Washington, D.C., which served in the same function as an embassy today, and consulates in the cities of New York, San Francisco, Philadelphia, San Diego, Boston, Portland, Port Townsend and Seattle. The United States manned a legation in Honolulu, and consulates in the cities of Honolulu, Hilo, Kahului and Mahukona. “Traditional international law was based upon a rigid distinction between the state of peace and the state of war (p. 45),” says Judge Greenwood in his article “Scope of Application of Humanitarian Law” in The Handbook of the International Law of Military Occupations (2nd ed., 2008), “Countries were either in a state of peace or a state of war; there was no intermediate state (Id. 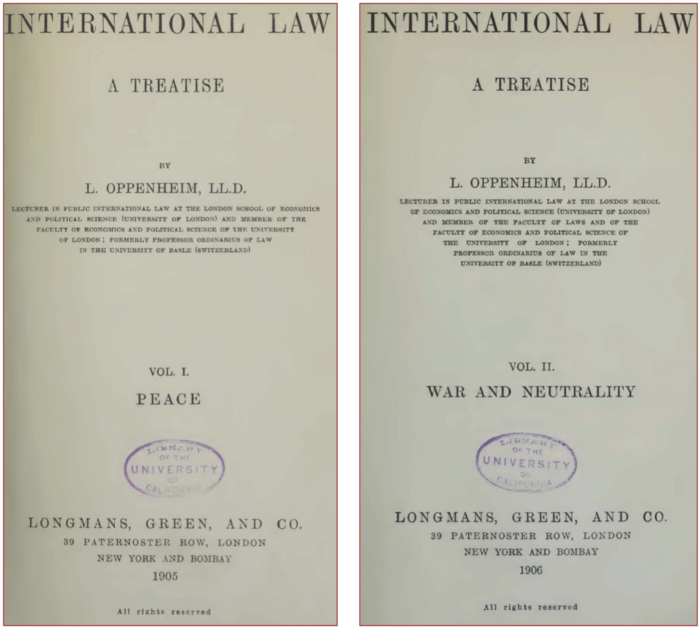 ).” This is also reflected by the fact that the renowned jurist of international law, Professor Lassa Oppenheim, separated his treatise on International Law into two volumes, Vol. I—Peace, and Vol. II—War and Neutrality. “I, Liliuokalani, by the grace of God and under the constitution of the Hawaiian Kingdom, Queen, do hereby solemnly protest against any and all acts done against myself and the constitutional Government of the Hawaiian Kingdom by certain persons claiming to have established a provisional government of and for this Kingdom. 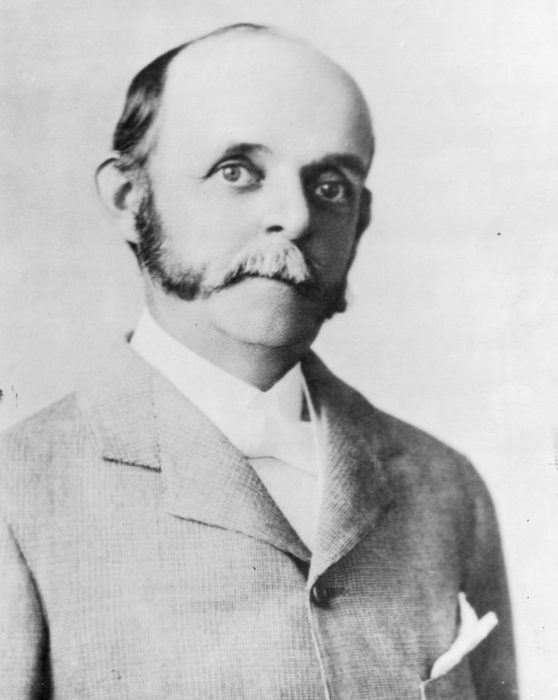 In response to the Queen’s conditional surrender of her authority, President Grover Cleveland initiated an investigation on March 11, 1893, with the appointment of Special Commissioner James Blount whose duty was to “investigate and fully report to the President all the facts [he] can learn respecting the condition of affairs in the Hawaiian Islands, the causes of the revolution by which the Queen’s Government was overthrown, the sentiment of the people toward existing authority, and, in general, all that can fully enlighten the President touching the subjects of [his] mission (p. 1185).” After arriving in the Hawaiian Islands, he began his investigation on April 1, and by July 17, the fact-finding investigation was complete with a final report. Secretary of State Walter Gresham was receiving periodic reports from Special Commissioner Blount and was preparing a final report to the President. Despite the unprecedented prolonged nature of the illegal occupation of the Hawaiian Kingdom by the United States, the Hawaiian State, as a subject of international law, is afforded all the protection that international law provides. “Belligerent occupation,” concludes Judge Crawford in his book The Creation of States in International Law (2nd ed., 2006), “does not affect the continuity of the State, even where there exists no government claiming to represent the occupied State (p. 34).” Without a treaty of peace, the laws of war and neutrality would continue to apply. Why doesn’t the local news tell the whole story? They always brag that they are journalists who tell the truth. But from what I’m seeing in the news they tell a watered-down version of the facts of the illegal overthrow of the Hawaiian Kingdom and never talk about the illegal occupation of the Hawaiian Kingdom by the United States. This is very good!! How can people support this action?? E kala mai au. He ninau. How can the denationalization of Hawaiians be called “Americanization” when the true American National is being denationalized and genocided by the exact same entities and processes as the Hawaiian? I was horrified to find out the true story behind the U.S. illegal takeover, can’t believe they outlawed the Hawaiian language and dances, etc.!!! Hawaiians should know that people on the mainland have no idea. The cover up is global!!! Denationalization means to erase ones national consciousness. Americanization means to turn all aspects of something American. Aloha Christian, the U.S. denationalized the Hawaiians of their national consciousness by getting rid of Hawaiian nationalism and replacing it with American nationalism. They turned all aspects of nationalism American. Hence, the term Americanization. Every thing Hawaiian was now American. Pretty straight forward. When are the ICI Fact Finding hearings going to take place? and the Hawaiian kingdom’s International status. Therefore Americanization was thought through a controlled environment through american education. do you have any write up’s about all the different “groups” i.e. LHG, the office in Hilo that charges for HK ID/driver’s license/ plates just to name a few???? these groups are part of the problem for so many people who are confused because indoctrination then they “buy into” it…. Yes, four months is quite a while to ponder regarding the realization of the ICI Hearings…especially when Dr. Sai has discovered/uncovered that the US Cabal corruption runs high & deep. The US Deep State & The UN Deep State are just two pals covering for each other? Fantastic research and overview, mahalo!